No pushy technicians, no gimmicks. We won't leave you out in the cold! 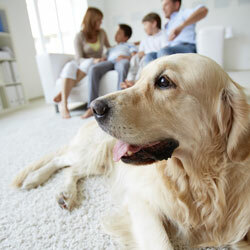 Call B&B Heating & Air Conditioning anytime, day or night! We'll be there for you. Our technicians operate with one goal only: Your complete satisfaction and uninterrupted comfort. 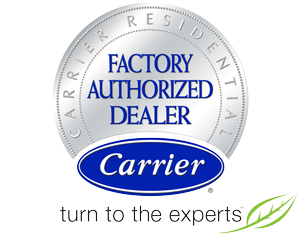 As a Carrier Factory Authorized dealer, our team gets the best training on the most cutting-edge HVAC products. Got an old furnace? No problem! Our team can service or repair ANY make or model of heating and cooling equipment. 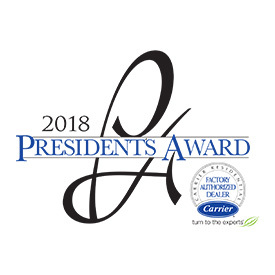 B&B Heating & Air Conditioning is proud to recieve the 2018 President's Award from Carrier. 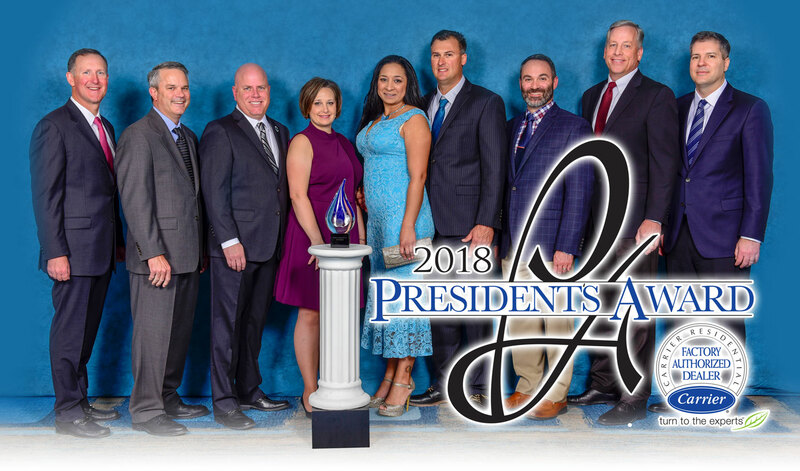 This award is the highest honor given to a Carrier Dealer whose excellence in customer service, quality, leadership and safety is above and beyond industry norms. Welcome to B&B Heating & Air Conditioning! Whether temperatures climb into the triple digits or drop below freezing, B&B Heating & Air Conditioning keeps homeowners in Arvada & Surrounding Areas comfortable. 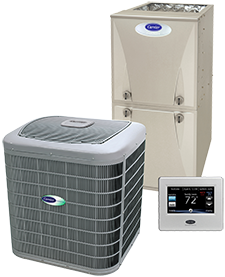 Through the accurate installation of state-of-the-art heating and cooling systems, timely maintenance, and skilled repair, we deliver reliable and affordable temperature control. We specialize in a wide range of rewarding options, including natural gas furnaces, electric heat pumps, ductless HVAC, central air conditioning, air quality products and more. By answering every type of challenge with the right solution, we minimize cost and maximize return. 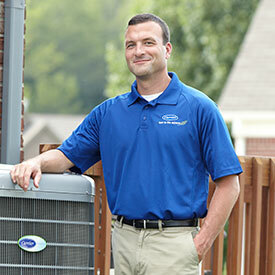 B&B Heating & Air Conditioning is a Carrier Factory Authorized Dealer, a recognition that is earned rather than given. Our service team is fully insured, certified, and receives ongoing factory training at the highest level. To further protect your best interests, our technicians do not work off commission. We provide honest, ethical, and no-pressure service, and offer recommendations that serve your long-term satisfaction. Call B&B Heating & Air Conditioning for reliable heating and cooling services throughout Arvada, Broomfield, Wheat Ridge, Littleton, Cherry Hills, Englewood, Greenwood Village, Lonetree, & Lakewood, CO! Established in 1984, B&B Heating & Air Conditioning is firmly established as a trusted provider of heating, cooling, and air quality services across Arvada, Broomfield, Wheat Ridge, Littleton, Cherry Hills, Englewood, Greenwood Village, Lonetree, & Lakewood, CO. We’re proud of our track record, and committed to continual improvement. When you contact us for installation, maintenance, or repair, we never underestimate the importance of your time, comfort, or investment. For emergency situations, our dedicated technicians are on-call, 24 hours a day, 365 days a year. Trust B&B Heating & Air Conditioning for all of your air conditioning repair & AC services in Arvada, Broomfield, Wheat Ridge, Littleton, Cherry Hills, Englewood, Greenwood Village, Lonetree, & Lakewood, CO.
B&B Heating & Air Conditioning is the heading leader for all of Colorado including Arvada, Broomfield, Wheat Ridge, Littleton, Cherry Hills, Englewood, Greenwood Village, Lonetree, & Lakewood, CO.